This pose is for stretching and developing balance. Begin by standing with legs separated for balance. and then come back upright. Then bend to the other side. 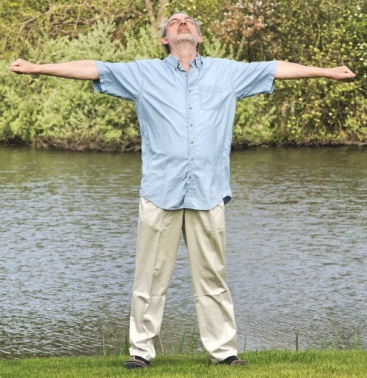 Breathe evenly while holding pose. This pose is for developing strength and balance. Begin by standing with feet separated for balance. Start with arms hanging down at sides. Hold pose for a minute. Release fist and bring arms down to sides. Look forward at end of pose.